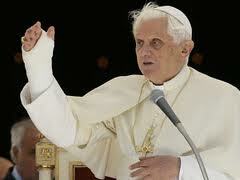 The recent retirement of Pope Benedict XVI brought to light the dangers all seniors face at home and abroad. Back in 2009 The Pope slipped and fell while on vacation in Northern Italy. Thank God he was not seriously injured, but he did suffer a broken wrist. For many seniors who slip and fall, the injuries are much more serious. Did you know that half of all of those over 65 who fall and fracture a hip are unable to return home and carry on an independent life? Ecosuds’ new SlipMedic service can quickly and affordably remedy slippery-when-wet hard floor and bath surfaces, dramatically reducing the likelihood of a slip and fall accident. Contact us to learn more.